When I first started my own digital ad agency, all I had was a strong passion for marketing. But with a mediocre skill set and near zero understanding of the industry, I failed. You offer SEO, Web Design, and PPC. That is exactly the same as 100,000s of companies around the world, who by the looks of things are better than you at it. What can you be the best at? What can you become known for? These words hit me like a ton of bricks. I could completely relate. If there was one thing I wanted to do in my life, it was digital marketing. If I wanted to survive, I had to get really good at it. At 11 p.m. that night, I asked my girlfriend not to call me for the next three months, put away my PS3, and started my research on the best PPC resources available online… and I just read. I read like mad and tried everything I read. 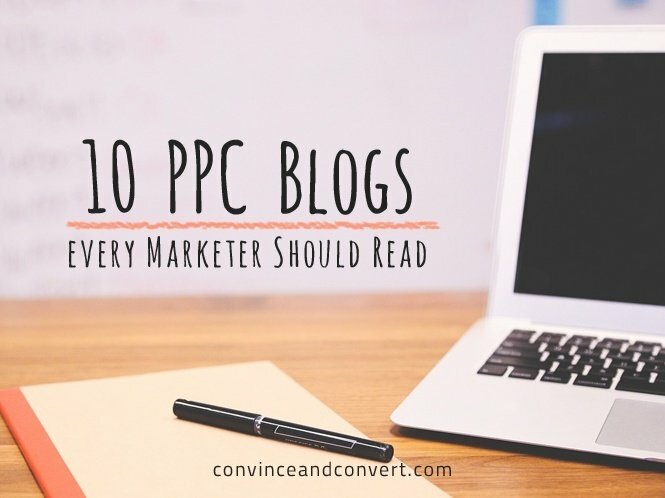 I didn’t just survive—I flourished, and I owe my existence to these PPC blogs. To this day, I read every single article by these blogs. I realized that the day I stop learning is the day I perish. This is true for every ad agency out there. Get you entire marketing team to read these blogs today! Whatever I’ve learned about PPC has come from PPC Hero. This PPC blog is the gold standard of case studies, experiments, tips, tricks, and predictions about pay-per-click digital advertising. From basic how-tos to sophisticated bid automation techniques, PPC Hero talks about it all. The beauty of this blog is that its writers are fearless. They test adventurously and aren’t afraid to speak their minds. It’s the perfect way to learn without taking risks yourself. Read PPC Hero every single day! You will find tremendous improvement in your campaigns. This quote from Larry Kim summarizes what Wordstream is all about. This blog publishes detailed, data-driven driven posts on PPC management and strategy that will give you a whole new perspective. WordStream publishes a range of content related to content marketing, mobile advertising, sales, and affiliate marketing. This blog is one of the best places to read thought leadership around search marketing. Why should your agency follow this blog? Because agency life is tough, and mistakes are costly. The data-driven insights provided by Wordstream will help you navigate the PPC pitfalls. This blog, led by Kevin Newcomb, is one of the oldest and most-respected SEO and SEM resources online. One of the “Big Four” search engine blogs, this covers a range of customer acquisition strategies from content marketing to SEO and social media. Detailed how-tos and thought leadership make this blog inevitable for digital ad agencies. Their content is actionable and can bring immediate results. For an agency, this is a must. iSpionage is a search marketing competitive intelligence provider. The blog offers valuable insights and strategies for Agencies to quickly optimize on SEO, AdWords, and other PPC campaigns using information from their top competitors. The iSpionage blog also offers valuable search engine marketing insights for PPC advertisers and covers topics ranging from competitive PPC intelligence to conversion rate optimization. PPC intelligence can help you quickly make better decisions. Follow this blog to understand how you can “growth hack” with competitive intelligence. Brad Geddes, the founder of Certified Knowledge, is the only AdWords trainer approved by Google to teach advanced AdWords courses. You will need his insights! Certified Knowledge is a comprehensive, membership-based community for PPC insight. This blog has excellent resources on PPC tools, AdWords video lessons, comprehensive guides, advanced strategies, and industry news. From the latest news on workshops and events to interviews with the industry’s top experts, this blog always keeps you updated. Insights from this community can take your Agency’s efforts to the next level. Follow this blog, and follow Brad Geddes! Boost Media is the only big blog which focuses on the most important aspect of a successful ad: crafting the perfect message that resonates with its audience. Boost blog comes up with actionable and specific posts around pay-per click marketing, particularly ad copy and ad creative, that will help you drive better returns from your pay-per click marketing campaigns. A digital ad copy should evolve to stay relevant and fresh—otherwise, ad fatigue sets in, and quality score drops. A digital ad agency cannot afford to lose this perspective. CPC Strategy is a retail-focused search agency that specializes in driving conversions by matching inventory with consumer intent. They primarily focus on Google Shopping and the latest PPC trends. This blog publishes super-actionable content on a seemingly daily basis and is one of the best resources on retail adverts and e-commerce. Rick Backus, the founder and CEO of CPC Strategy, is among the most respected in the PPC community. His blog brings specialized content on retail search, which is proving to be the next big thing in Digital Marketing. Stay ahead of the curve: Read CPC Strategy. Clix Marketing has been managing digital advertising campaigns for over ten years now. They’re experts at using PPC, display, and social media adverts. Naturally, this blog specializes in issues like problem-solving, optimization, and growth strategy. Coming from a team that has witnessed full-spectrum PPC strategies, this blog is packed with actionable stuff. From advanced Excel tips to retargeting hacks, this blog is full of resources that you would want to share with your entire marketing team. Mae Flint Polczynski and John Lee also deserve a special mention here. Where else would you find a complete category of blogs dedicated to “Agency Life”? Get your entire marketing team to read Clix blog now. Google AdWords is a very dynamic field. Following the official Google AdWords Blog for all updates is crucial for an agency’s success. This blog will will help you optimize your campaigns, walk you through new product launches, and teach you techniques for better understanding your customer conversion funnels. For an agency, this is a good blog to refer to clients or bosses who want to learn more about PPC. Their writers do a good job of explaining new features that advertisers might want to try. Be the first to know when a major change happens. Follow Inside AdWords, and update your team. This year, Bing grew to 19.7% of the U.S. search market share. While there’s no doubt that it is still an underdog compared to Google, Bing has slowly and steadily made considerable gains in search, particularly in high-competition verticals. Bing is making great strides in areas where Google AdWords has been struggling. Bing has been working on better device targeting, search partner targeting, social extensions, and more. Your agency must be at the forefront of these developments to reap benefits. If you’re aiming to reach a general consumer audience, this platform is one that your SEM team cannot afford to ignore. This blog will guide you there. Besides these top PPC blogs, there are a few discussion forums that are worth following. Quora hosts discussions on Facebook ads (5,000+ followers), Search Engine Marketing (5,500+ followers), Internet Advertising (12,000+ followers), Google AdWords (7,500+ followers), and ad networks/ad services (2,500+ followers). These numbers make a strong case for you and your agency to be a part of this community. Ask a question, and you will be surprised at the response time and quality of the answers. Join this community, participate in the discussions, share your knowledge, and keep up with what the rest of the PPC community is talking about. Topics include PPC, SEO, CRO, traffic generation, affiliate programs, analytics, copywriting, and everything related to digital marketing. This pretty much sums up what r/ppc is all about. This forum is known for its open culture, diverse user community, and the experts that generate its content. If engaged properly, Reddit can be a great platform to garner attention and a large audience quickly. How can you and your agency not be part of this community? Every Tuesday, 11:00 a.m. Central Time. Whether it’s as simple as staying up-to-date on industry articles or dig deeply into a topic, this is where you need to be at 11:00 a.m. CT, every Tuesday. Get all your team members to follow this hashtag. Not only does it keep our team sharp, but it also ensures you are taking advantage of all the industry advancements and best practices for your clients. #ppcchat can also be an opportunity to establish yourself as a leader in the PPC community, share articles you have written, or maybe even meet your next employee. Much like anything else in your PPC career (or campaign), the more you put into it, the more you get out of it. If you are looking to stay up-to_date in the ever-changing world of paid search, jump into a #ppcchat. When it comes to marketing, invest in knowledge. Shiva Teja is the Marketing Specialist at ReportGarden. He's extremely fond of anything that is related to Digital Marketing, PPC, and food. Shiva aims to reach his goals one step at a time and believes in doing everything with a smile.